We’ve all been there: seated at a bistro or trattoria, glass of wine in hand, gauging whether our urban walk-athon could offset that killer steak frites or pasta carbonara. And why resist? The calories don’t count on vacation, anyway. 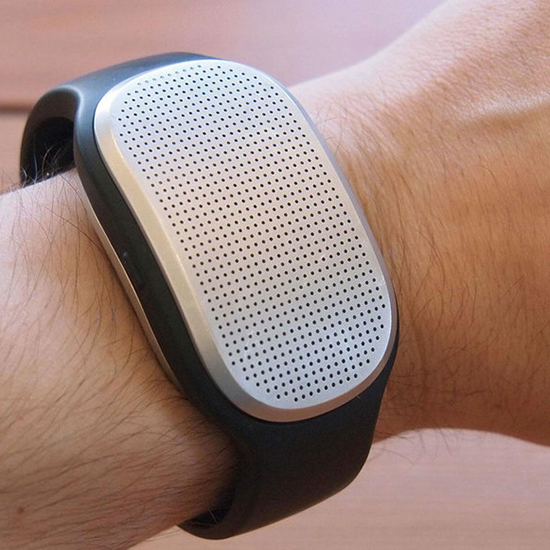 GoBe, a wearable device just announced at the Consumer Electronics Showcase, begs to differ. Unlike most fitness trackers, it counts what you eat, as well as what you burn. Sure, you can manually record your intake with Apple Watch, FitBit, or Jawbone devices, but GoBe takes a different approach: it biometrically tracks your glucose levels, translating specific types of spikes into food groups (like sugars or carbohydrates), and uses the data to calculate exactly how many calories you’ve consumed in each sitting. It’s all about accuracy: with other products, you can tell an app you had half an order or fries when you probably ate closer to two-thirds, but GoBe doesn’t let you beat around the bush. There’s just one caveat: the design. A tracker with this type of power doesn’t come in slim proportions; even the second generation product, which starts shipping in June, looks bulky, with a roughly one-inch-wide, oval-shaped display that dwarfs small wrists. But where health-tracking gadgets are concerned, GoBe is unrivaled, and nearly guarantees you won’t pack on the pounds during binge-worthy vacations, as long as you heed its warnings.